Do You Want to Sell Your Spanish Property? 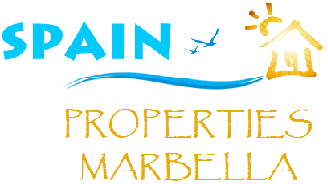 Spain Properties Marbella is specialized in the marketing campaigns working together with our International and Local partners /Agents who are also specialized in selling of low end up to the luxury properties along the Costa Del Sol. Our Property Sales Service is designed to help you sell your property as quickly as possible and relieve the pressures that come with selling your Spanish home. Our marketing team will actively promote your property to the International market from our offices in the UK. Through Our Affiliates In the EU , UK, UAE, Scandinavia, Germany, France, USA , Canada, Russia and the Mid. East. Our team based in the Costa del Sol will give your property maximum exposure locally. We aim to offer a professional stress free service to our clients giving expert advice and full support throughout the sales process. Property Description: A full property description will be written by our copywriter and translated into various languages. Photography: Our photographer will take professional high quality photographs. Furniture: If required we will furnish your property for you free of charge. Regular Updates: We will give regular updates regarding our activity and the interested in your property. Your property will be advertised on our website as having an online presence is becoming more important than before. We will use high-resolution images and text to produce a quality presentation of your property, which will also be mobile responsive, which is key to viewing your property on mobile devices. High quality images of your property have a big impact when selling your property, as well as being used to create a great impression online we use them to advertise in magazines, email campaigns and brochures. Spain Properties Marbella applies more than 50 years of combined real estate experience to help you to sell your property. Our team speaks English, Spanish, German, French, Italian, Arabic, Russian and Norwegian which gives us a huge reach of potential buyers across the cosmopolitan population of the Costa del Sol.